When I go meet home sellers and sit at their kitchen tables I feel obligated to give them honest and straightforward answers to real estate questions. 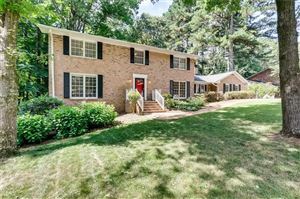 I have been selling homes in northeast Atlanta for over 30 years and hopefully I have garnered a good reputation for being a trustworthy professional. Real estate agents have earned their reputation for being less trustworthy than used car salesmen. During my many years in real estate, I have faced stiff competition from real estate agents who are willing to say practically anything and behave outrageously just to get listings. Here are a few of the lies I run up against while giving listing presentations. There is almost no chance that any of those agents will actually have a buyer who will buy his property, which is probably a good thing because working with a dual agent may not be in his best interest. This homeowner did not understand broker reciprocity or agency — most of them don’t. He believed that listing agents single-handedly find buyers and sell real estate. That isn’t exactly how it happens. He may have gotten that impression from agent marketing. If these agents had a buyer, then how come the identical unit that is currently on the market has been for sale for 25 days and counting. Sadly, many home sellers actually believe a listings agent is going to put their listing in MLS and then bring a buyer out the next day who is going to buy their home. 60 days later they realize they hired an agent who tells a good story but has “no buyers” and no marketing skills. FMLS has 40,000 plus member agents. Who is more likely to bring a buyer for your home? Is a single listing agent going to bring a buyer for your home or will the group of 40,000 agents be more likely to find a buyer searching for a home like yours. Statistics for fmls show very few homes are actually sold by listing agents – where the listing agent has the buyer as their client. This is called dual agency and it is not very advantageous for a buyer. Sunday Open Houses will sell your home. Another obstacle I run into while making listing presentations is questions about a Sunday Open House for their home. Let me state clearly that I will do a Sunday open house if you think it is absolutely necessary to sell your home. But, I am going to be honest and tell you Sunday Open Houses are attended primarily by neighbors, tire kickers and folks you would probably rather not have in your home for security reasons. When you go searching for a real estate agent, you are likely to hear a number of sales pitches speaking of the necessity and desirability of an open house. Many agents will speak of their enthusiasm for open houses and how they will do well for you with all the traffic they draw. What you may not realize, though, is that a real estate open house typically has far more benefits for your agent than for you. The question of course that is on the minds of many homeowners is does an open house sell homes? Security Issues – What many real estate agents fail to do is inform their clients about the drawbacks of an open house. Rarely are both the pro’s and con’s of an open house discussed. It is usually just the potential benefits. Unfortunately an open house is the perfect invitation to invite unqualified strangers into your home. When you do this you are potentially opening yourself up to a whole set of issues you probably have not given much thought to. Numerous sellers have reported theft both during the open house as well as on a later date when thieves who have visited come back and take what they like. It’s no surprise this happens as an open house invites anyone and everyone into the home. If the open house is busy, it is impossible for a real estate agent to watch everyone. There are a couple of agents in my home turf that promote their open houses and make a big deal out of how many houses they sell because of Sunday open houses. The statistics just don’t back them up. Ask the agent for a list of homes they have sold in the past year that were dual agency sales – either them individually or their “team”. You will be surprised by the small number of homes, if any, on the list.